You are invited to join us for a lovely evening of art and wine and to learn about the incredible benefits of art therapy. 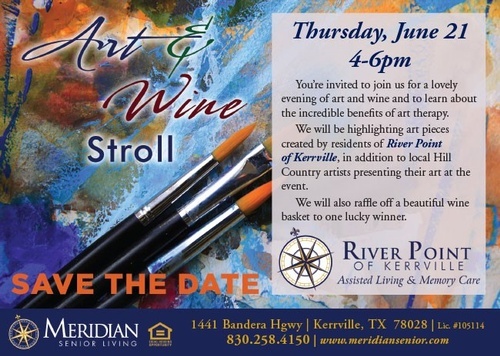 We will be highlighting art pieces created by residents of River Point of Kerrville, in addition to local Hill Country artists. A beautiful wine basket will be raffled.